Community outreach workers from Uttar Pradesh, Madhya Pradesh and Uttarakhand came together this week for a special World Toilet College course to build their capacity to teach communities about sanitation. This training provided an opportunity for outreach workers from organizations including Organic India to enhance their understanding of sanitation, hygiene and nutrition principles, and how to share these principles through community outreach work in villages and schools. This is one of the first trainings to have been held at GIWA’s newly launched World Toilet College, in partnership with RB and the World Toilet Organization. As part of this course, the team learned how to trigger and motivate communities for embracing improved sanitation in their homes and regions. The students are looking forward to bringing all of their learnings from this inspiring training to their work in rural Uttar Pradesh and Madhya Pradesh. H.H. 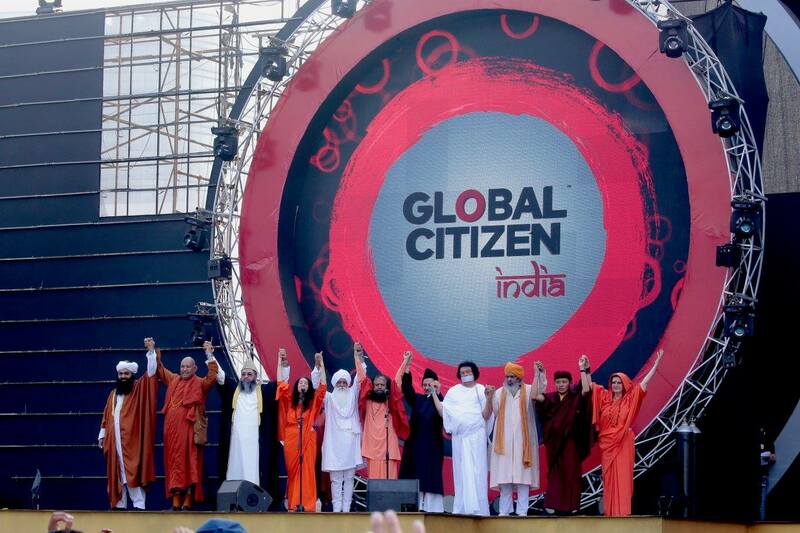 Pujya Swami Chidanand Saraswati, President and Spiritual Head of Parmarth Niketan Ashram and co-founder of the Global Interfaith WASH Alliance, led a sacred water blessing with the team to inspire them to unite spiritual principles with their newly-learned foundations in effective social outreach.